Working on vocabulary is not always fun, but it can be. 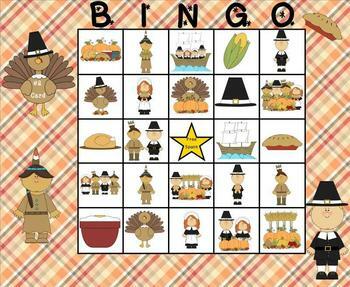 Here's a fun game that can be played two different ways: Bingo or a matching/memory game. 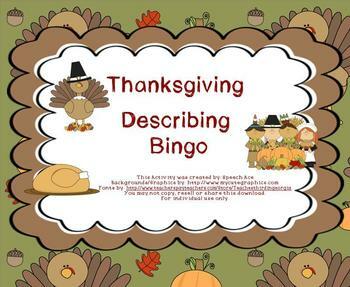 Your students can work on learning the different vocabulary found during Thanksgiving (i.e. 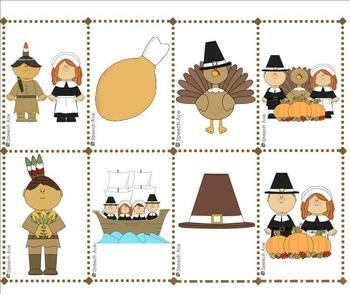 pilgrims, native americans, etc.). 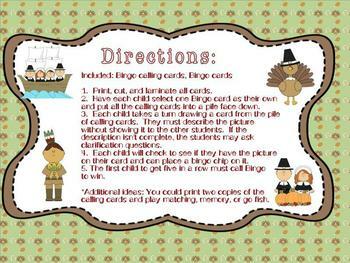 For the Bingo game, have your student select one of the calling cards and describe it to the other students. There are numerous cards that look similar, so the "describer" has to be very specific. See if their description has enough information to determine which picture the describer has. As another game, you can print out doubles of the calling cards and play memory, go-fish, etc.